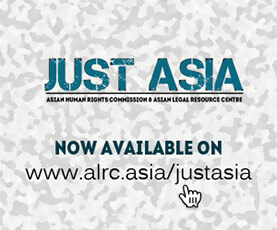 The Asian Human Rights Commission (AHRC) has been informed that provincial authorities have investigated allegations that Mr Urai Srineh was abducted and brutally tortured by the police on 24-25 May 2005 in connection with the murder of six migrant workers (UA-105-2005), and found that while the incident reportedly occurred, the police were not involved. The AHRC is concerned that the reason for this conclusion is that the police coerced the victim into accepting money to go back on his earlier allegations, while he was in hospital recovering from his injuries. That this appears to have been the case speaks to the need for a much more effective witness protection programme in Thailand than exists at present. Please write to the Minister of Justice to express your concerns over the lack of effective witness protection in Thailand, and to call for this case to be taken up by the Department of Special Investigation under his ministry. As the AHRC reported previously, according to Mr Urai Srineh, he was allegedly abducted from his home by five men on 24 May 2005, taken into a room and brutally tortured for some hours. When he was taken back home on May 25, he allegedly saw that he had been tortured inside Chonburi Provincial Police Station (UA-107-2005). The AHRC has since learnt that the provincial authorities investigated the case and found that while the incident had reportedly occurred, Mr Urai has insisted that the police were not the ones responsible. The AHRC is worried that the reason for this is that Mr Urai was coerced into accepting money while in hospital recovering from his injuries, in order to not implicate the police. It is understood that he has since left the province, and no further action is being taken with regards to the case. Meanwhile, it has been reported to the AHRC that when two other suspects who were charged in connection with the case were brought to the court for the setting of trial dates they called out that they were also tortured and asked to see staff of the National Human Rights Commission of Thailand. “Is concerned about the persistent allegations of excessive use of force by law enforcement officials [and]… about reports on the widespread use of torture and cruel, inhuman or degrading treatment of detainees by law enforcement officials… It is also concerned at the impunity flowing from the fact that only a few of the investigations into cases of ill-treatment have resulted in prosecution, and if any, in conviction, and that adequate compensation to victims has not been provided… The State party [Thailand] should ensure that all alleged cases of torture, ill-treatment, disproportionate use of force by police and death in custody are fully and promptly investigated, that those found responsible are brought to justice, and that compensation is provided to the victims or their families [CCPR/CO/84/THA, 28 July 2005, para. 15]. Regarding witness protection, while there is a newly-established Office of Witness Protection under the Ministry of Justice, it is very small and as yet incapable of carrying out its mandate with any real effect. While some persons have been offered “protection” in accordance with instructions from the ministry, the type of security offered has for some amounted to harassment rather than genuine protection. Other persons whose cases should have been taken up the by office have not obtained the assistance they need. Please write to the Minister of Justice to for it to be investigated by the Department of Special Investigation under his ministry, and for proper witness protection to be afforded the victim in order that he feel able to give a true account of what allegedly happened to him. I am concerned that the alleged abduction and brutal torture of Mr Urai Srineh in Chonburi Province on 24–25 May 2005 in connection with the murder of six migrant workers has not yet been taken up by the Department of Special Investigation under your ministry. According to the information I have received, the provincial authorities have investigated the case and found that Mr Urai has maintained that he was abducted and tortured; however, that officers connected with the Chonburi Provincial Police Station were not the ones responsible, as earlier alleged. I am worried that the reason for this is that Mr Urai was allegedly coerced by the police into taking money to contradict his earlier story about what had happened to him. I have heard that while he was in hospital some police officers led by Pol. Maj. Manop Prasart of Klaeng District Police Station, Rayong allegedly came to visit him and offer him money to deny his earlier allegations. I have also heard that when they were brought to court to be charged with the murders, two other suspects also called out that they had been tortured. In view of the seriousness of this case and the confusion surrounding the circumstances of Mr Urai's abduction in connection with the six murders, I urge you to see to it that the Department of Special Investigation is assigned to investigate, if it has not done so already. I also urge you to ensure that adequate witness protection is given to the victims in order that they are able to tell the truth about what happened to them without fear of repercussions. In that regard, I would also request that you move to develop the Office of Witness Protection in Thailand so that it be able to play a greater role in providing security for witnesses and victims of gross violations of human rights in Thailand.